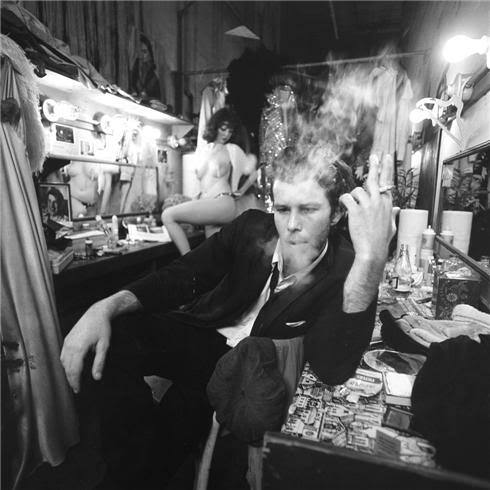 “Bone Machine” (Tom Waits) is 20 – Happy Birthday! 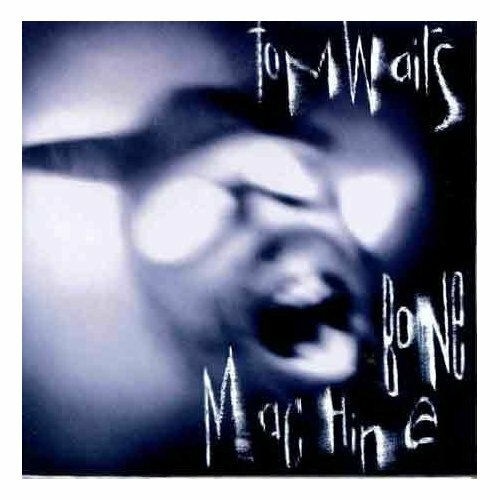 Bone Machine is a critically acclaimed and award-winning album by Tom Waits, released in 1992 on Island Records. It won a Grammy Award for Best Alternative Music Album, and features guest appearances by Los Lobos‘ David Hidalgo, Primus‘ Les Claypool, and The Rolling Stones‘ Keith Richards. 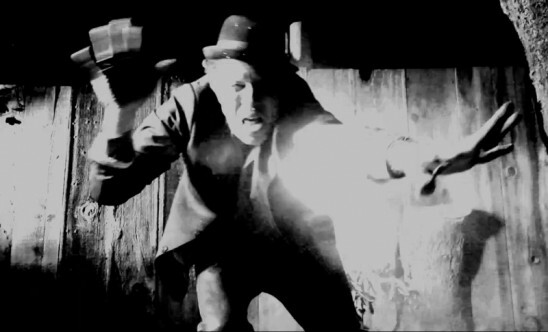 Bone Machine marked a return to studio material for Waits, coming a full five years after his previous studio album, Franks Wild Years (1987). The album is often noted for its dark lyrical themes of death and murder, and for its rough, stripped-down, percussion-heavy blues rock style. Bone Machine was recorded and produced entirely at the Prairie Sun Recording studios in Cotati, California in a room of Studio C known as “the Waits Room,” in the old cement hatchery rooms of the cellar of the buildings. [Waits] gravitated toward these “echo” rooms and created the Bone Machine aural landscape. […] What we like about Tom is that he is a musicologist. And he has a tremendous ear. His talent is a national treasure. Waits said of the bare-bones studio, “I found a great room to work in, it’s just a cement floor and a hot water heater. Okay, we’ll do it here. It’s got some good echo.” References to the recording environment and process were made in the field-recorded interview segments made for the promotional CD release, Bone Machine: The Operator’s Manual, which threaded together full studio tracks and conversation for a pre-recorded radio show format. 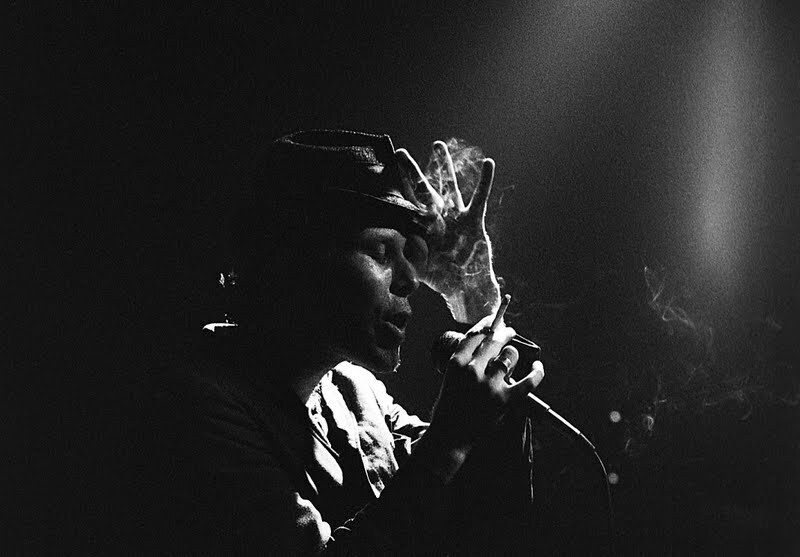 The cover photo, which consists of a blurred black-and-white, close-up image of Waits in a leather skullcap with horns and protective goggles, was taken by Jesse Dylan, the son of Bob Dylan. He wears this same outfit in the video for “Goin’ Out West” and “I Don’t Wanna Grow up”. 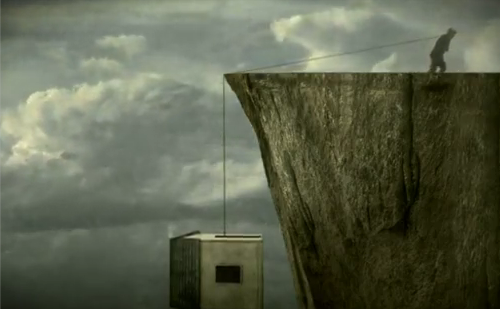 Wonderful video, not at all what I expected, but great! Here is the interview & a brilliant version of “Chicago”. “Tom Traubert’s Blues” opens the album Small Change. Jay S. Jacobs has described the song as a “stunning opener [which] sets the tone for what follows.” The refrain is based almost word by word on the 1890 Australian song, “Waltzing Matilda” by A.B. “Banjo” Paterson, although the tune is slightly different. The origin of the song is somewhat ambiguous. The sub-title of the track “Four Sheets to the Wind in Copenhagen” seems to indicate that it is about a time that Waits spent in Copenhagen in 1976 while on a tour. There, he apparently met Danish singer Mathilde Bondo. Indeed, in a 1998 radio interview, she confirmed that she met Waits and that they spent a night on the town together. Waits himself described the song’s subject during a concert in Sydney Australia in March 1979: “Uh, well I met this girl named Matilda. And uh, I had a little too much to drink that night. This is about throwing up in a foreign country.” In an interview on NPR’s World Cafe, aired December 15, 2006, Waits stated that Tom Traubert was a “friend of a friend” who died in prison. “Tom Traubert’s Blues” is one of Tom Waits’ most popular songs, although this is due in the most part by Rod Stewart’s vastly inferiors cover version. 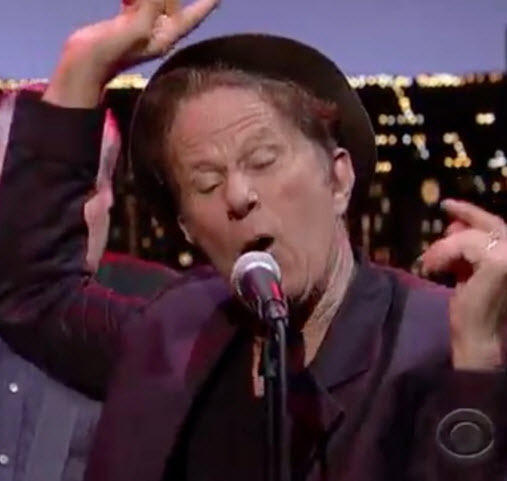 Waits’ original is heartbreakingly beautiful, containing some of the artist’s finest lyrics, especially in the croaking opening “Wasted and wounded/’Taint what the moon did/Got what I paid for now”. The story, essentially a drunken tale, fits the gorgeous, elegiac melody perfectly, and indeed the song is so evocative it’s almost impossible for the listener not to be swept up in the story. Although the arrangement and the use of strings doesn’t take any real risks, it embellishes the melody beautifully. Without doubt, one of Tom Waits’ finest recordings.